I have finally hit my 100th blog post on Louulia! Wohoooo! Maybe it should have happened a little earlier if I could actually keep up to date with my blogging but we've got there eventually. 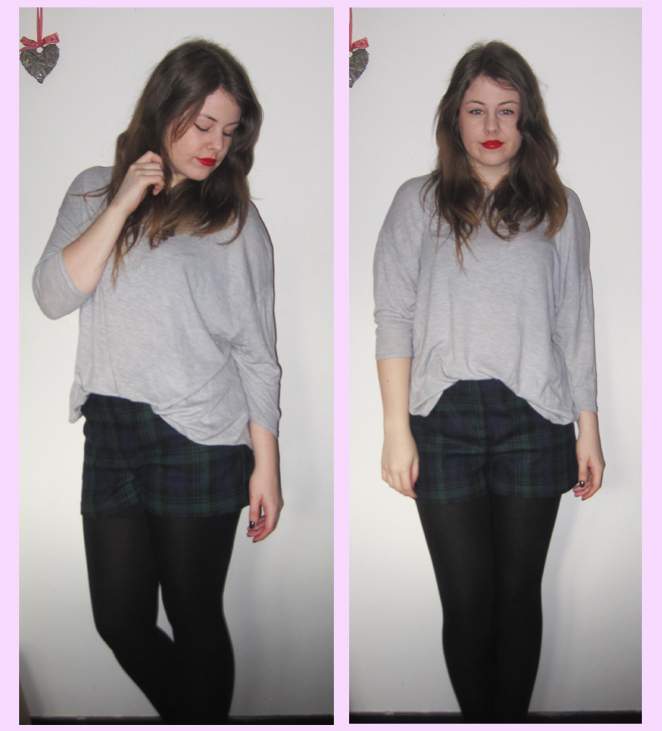 I have once again found comfort in my dark green tartan shorts from Topshop that I bought a little while back. Of course sticking to the old pairing up with black tights trick for extra warmth as well as keeping the main eye focus on the pattern of the shorts. 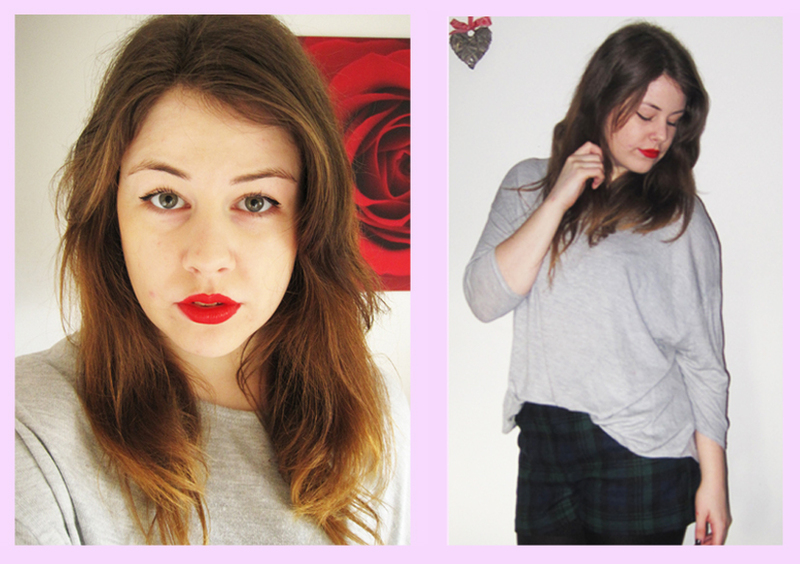 I paired my outfit up with a light grey oversized sweater that again is from Topshop (forever ago!) that I thought goes really well. The lightness of the grey makes the whole outfit drag itself back out a dark mysterious look as I didn't want to play around with too much black. It also really pushes out the statement pattern on the shorts, which is always a big bonus as tartan is so crazed for right now! I've also worn another statement colour, red, for the lips as I felt this outfit could compliment splashes of bright, vibrant colour so well. As it's pretty simple with the colour scheme a red or purple lipstick would do nothing but embrace on a girly appeal to the overall look.